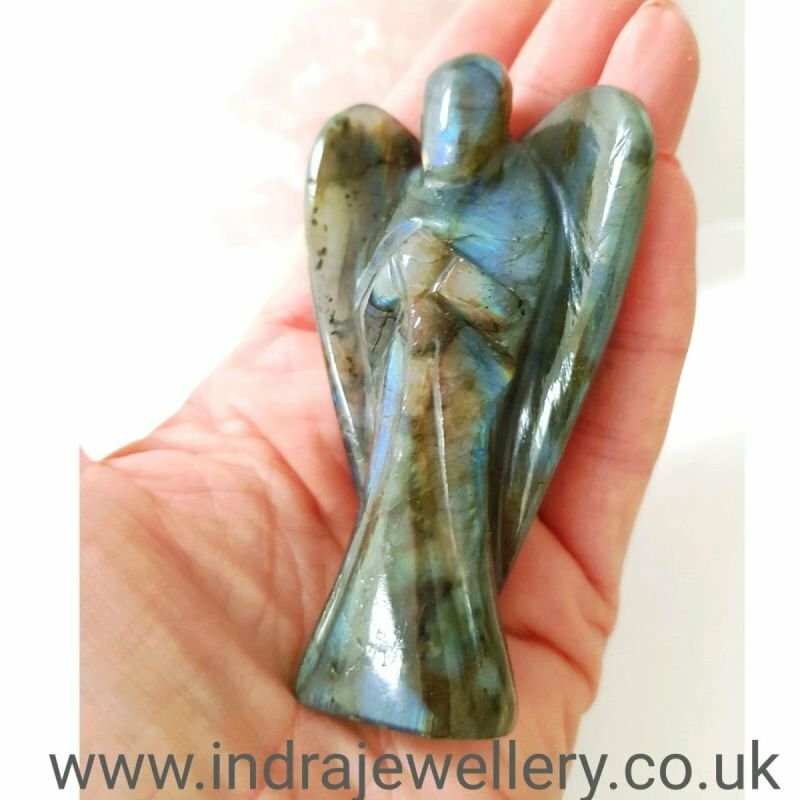 This is a beautiful angel carved from magical labradorite! just look at the stunning blue flashes this angel has! This angel measures approximately 3" by 2"
A perfect little gift for someone special. Wearing or carrying Labradorite allows one's innate magical powers to surface. It brings out the best in someone, it increases determination, motivation and attention and therefore attracts success!